Restoration experiment on marble. 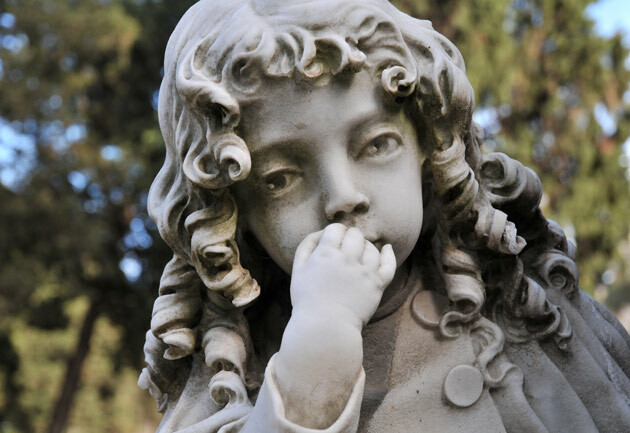 Statue by Giuseppe Sartorio at the cemetary of Bonaria in Cagliari, Italy. Photo credit: Paola Meloni, via Chemistry World 5.2.2016.